Fuel cells have been around since the invention of the first bicycle. Now, the training wheels are off—and businesses are saving money and applying to earn LEED credits with fuel cells. Getting credit for an amazing innovation isn’t always an easy task -- just ask the Winklevoss twins. But for organizations that have gone the extra mile to help the environment, the Leadership in Energy and Environmental Design (LEED) Rating System is a great way to showcase their environmental credentials. As a previous post pointed out, everything from low-flow faucets and bike racks to recycled carpeting and daylight harvesting can help organizations qualify for LEED credits under the U.S. Green Building rating scheme. Quite the list, but did you know that a system as small as your average refrigerator could also make a huge contribution? The system I am talking about is a stationary fuel cell system. While fuel cells have been around since the invention of the modern bicycle, commercial adoption is rapidly increasing, with high-profile customers and use cases as broad as the Sierra Nevada Brewing Company, Whole Foods, residences and high schools. In fact, with this momentum and some of the impressive technologies available today, many are betting on fuel cells, evidenced by U.S. Department of Energy grants and major new funding from U.S. and international utilities. Fuel cells require hydrogen to drive an electrochemical process. Many commercially available fuel cells use natural gas as their source of hydrogen, and there are a few different ways to leverage natural gas-powered fuel cells in an application for LEED credits. 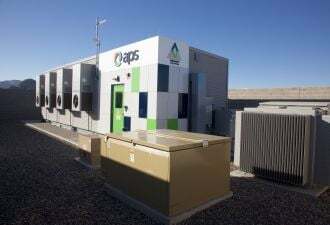 The most common way to leverage natural gas is to connect fuel cells directly to the utility grid, just as you would plug in your conventional gas oven. Since natural gas prices are far lower than the commensurate cost of electricity, particularly when incorporating tariff contracts from local utilities, you can demonstrate significant energy cost savings to apply for LEED credit EA 1. Calculate these cost savings by using Appendix G of ANSI/ASHRAE/IESSNA Standard 90.1-2007 to generate a computer simulation of the hourly energy consumption in comparison to the aforementioned tariffs. Biogas, natural gas derived from landfill gas or agricultural wastes, allows fuel cells to be counted as “renewable” for the purposes of LEED credits EA 1 and EA 2. In addition to generating power from methane gas, they also reduce harmful emissions in the process, accelerating the potential rate of LEED credits that can be earned. Directed biogas, which is biogas cleaned and certified to acceptable levels, can also be fed into the natural gas pipelines to provide the “renewable energy” for these LEED credits. Given the high levels of power production from fuel cells, this option can also speed the potential attainment rate of LEED credits. Just as “Made in the U.S.A.” appears on clothing labels, provenance is critical for biogas: to be considered as a building using renewable energy when biogas is the fuel source, there needs to be the ability to trace the gas directly to the building using it. Since fuel cells come in different sizes, there are many options to meet various business demands. On the high end, big businesses that require hundreds of kilowatts of power, like large factories, distribution centers and manufacturing plants, can leverage distributed power system from FuelCellEnergy, Bloom Energy and UTC Power. With each roughly the size of a car parking space, these fuel cells use natural gas and biofuel to distribute power, offering an eco-friendly and less costly alternative to the energy grid. Smaller businesses, particularly those with needs for both heat and power, can also take advantage of continuous onsite power systems similar to those that we produce at ClearEdge Power. Businesses like schools, hotels, health clubs and restaurants can reduce energy costs significantly with distributed-generation power refrigerator-sized units, helping make the case for LEED credits. Not only are fuel cells able to provide a continuous source of distributed energy, but when paired with solar and wind technologies, their value proposition really shines. 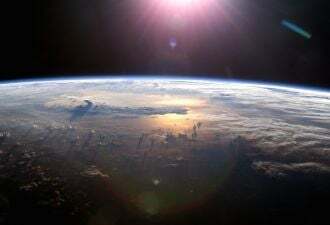 For buildings with solar photovoltaic panels already installed, fuel cells can provide additional energy (and often heat) that is unrelated to the weather forecast. 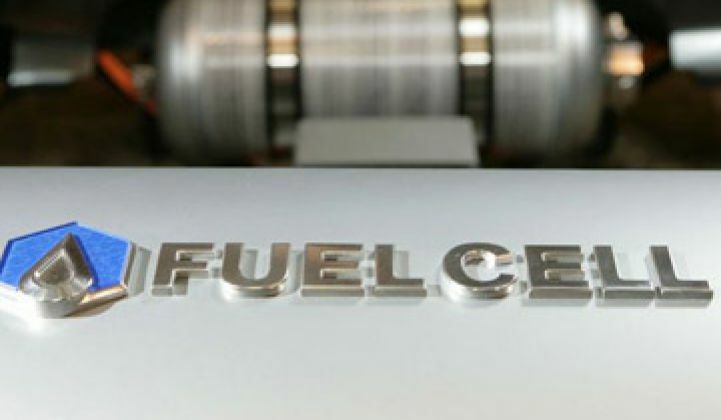 If you are looking to increase your independence from the aging grid, lower energy costs and support your sustainable business practices, fuel cells are an attractive option to add to your green credit toolbox. Mike Upp is the VP of Marketing at ClearEdge Power.